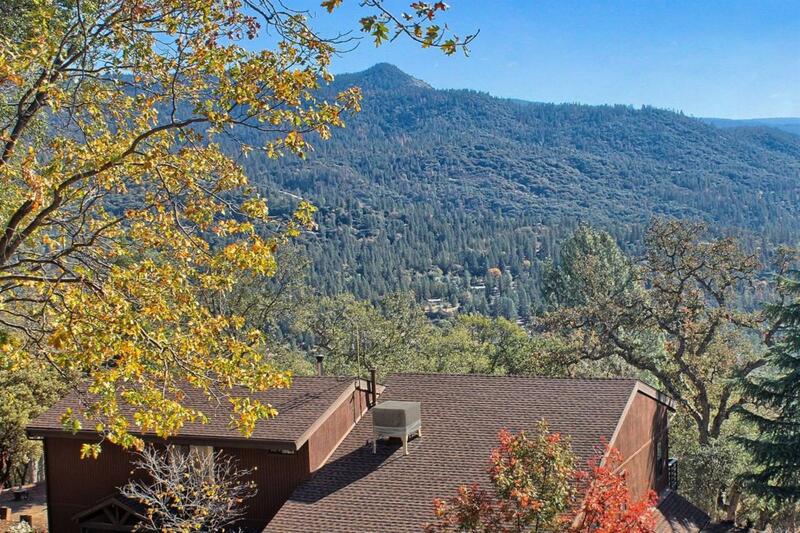 Looking for privacy & incredible views? Look no longer, this custom home is it! 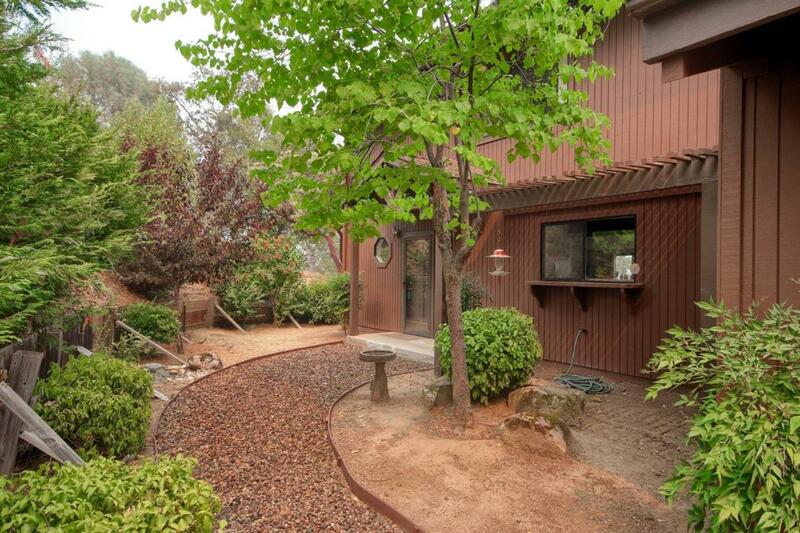 Located in Oakhurst at the end of a cul de sac is this great home which has vaulted tongue & groove beamed ceilings, w/rock hearth for the wood burning stove. Sellers updated the kitchen & 1/2 bath with granite counter tops, tile back splash in the kitchen, new sink & faucet & laminate flooring. 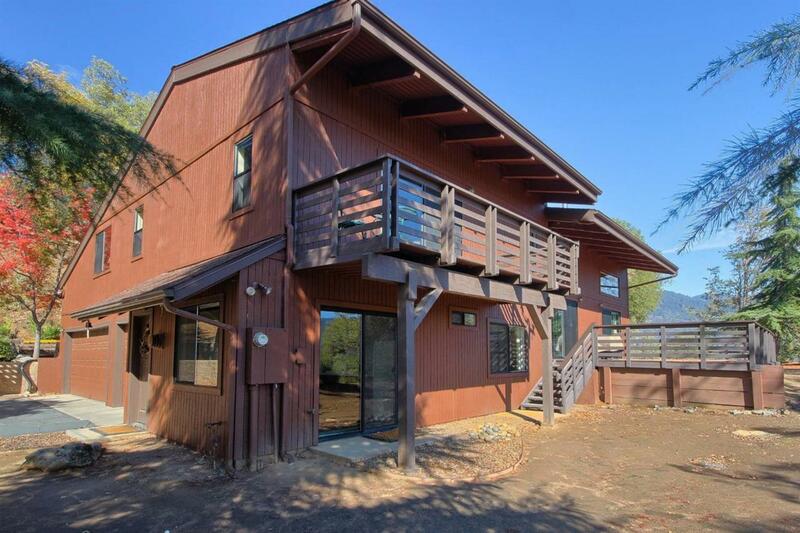 Open floor plan with lots of natural light & 2 sliders to your ~544 square foot deck to take in the views.At this ~elevation of 3,500 feet you'll enjoy great evening breezes & some snow in the winter. The Master bedroom is large with it's own private deck & large master bath w/his & hers closets. Off the master is a large bonus room that could be your game room, work out room or anything you want. 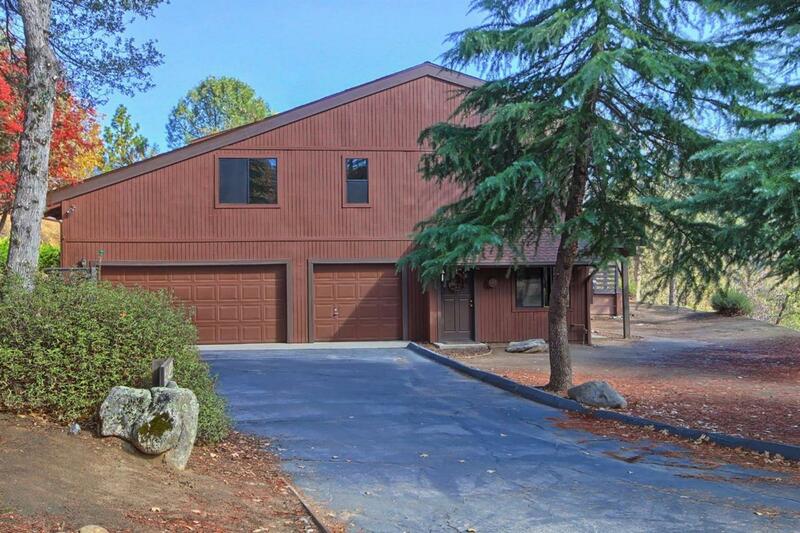 There is a 3 car garage w/office space & laundry area. Also a guest unit with private entrance w/its own full bath, bedroom & kitchen/living space.